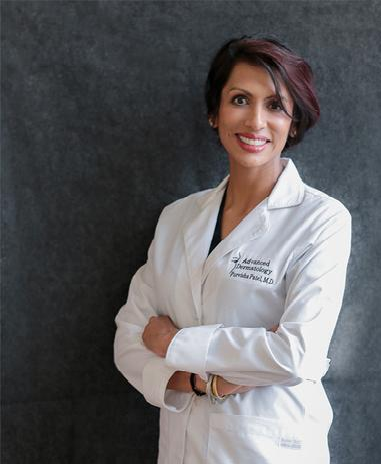 There is no dearth of skin care lines in the market but Visha Skincare is extra special because it’s created by a South Asian woman who truly understands our needs — Dr. Purvisha Patel, a board-certified dermatologist. “I noticed that there was a need for a simple product that delivered results quickly against the signs of early ageing and beyond. With a true love for science, I decided that I should do into the lab and create my own technology that could be the backbone of a skin care product that would combat multiple skin issues, is cost-effective, and suitable for everyone. Out of that need, Visha Skincare was born,” Patel said. Visha Skincare is a toxin-free, multi-tasking, cosmeceutical-grade skincare brand. The collection features two lines, ‘The Advanced Line,’ and ‘The Mommy Line’ – both are Hydroquinone-free, which is just as efficacious as other cosmeceutical-grade skin care lines. Taj (@Tajjmirage) shares her thoughts in the video above on three products — the Advanced Correcting Serum with Illuminotex, RejuVenating Moisturizer, and the Sugar Shrink Body Scrub. 1. Advanced Correcting Serum with Illuminotex (*a patent-pending ingredient*) is an all-in-one anti-aging power serum designed to treat fine lines and wrinkles, fade sun spots, and correct uneven skin texture that occurs from UV damage. 2. The RejuVenating Moisturizer is an emollient cream restores moisture, suppleness and overall skin firmness for a fresher, more youthful looking appearance perfect for hormonally-challenged skin types. 3. Sugar Shrink Body Scrub is a body scrub infused with real caffeine and antioxidants to rejuvenate the skin, reducing the look of cellulite and stretch marks. Use discount code ‘BGM20’ for 20% off the ‘Advanced Skin Care’ bundle by visiting the Visha Skincare website.